12′ Ceilings & transom in family rm., kitchen. 6 cans at kitchen, 4 cans at family rm, 3 ceiling fan pre wires, French dr. at office or bedroom, 8′ tall garage drs, granite tops at kitchen, cultural marble tops at all baths,3 coach lights, $3,500 lighting allowance, 5 TV outlets, 1 Phone jack, Oil rubbed bronze package throughout, 5 1/4″ base, 3 1/4″ casing, continuous slide in closets, tight mesh pantry shelving, Square oak stair parts with wrought iron spindles, Box beams at dining room ceiling, Staggered kitchen cabinets with crown, Laundry rm sink with base cabinet, Adult height vanity@ master bath,Stainless steel appliances, double oven, micro, cooktop & dishwasher. Wood floors at foyer, halls, powder rm., family rm, kitchen & breakfast rm. 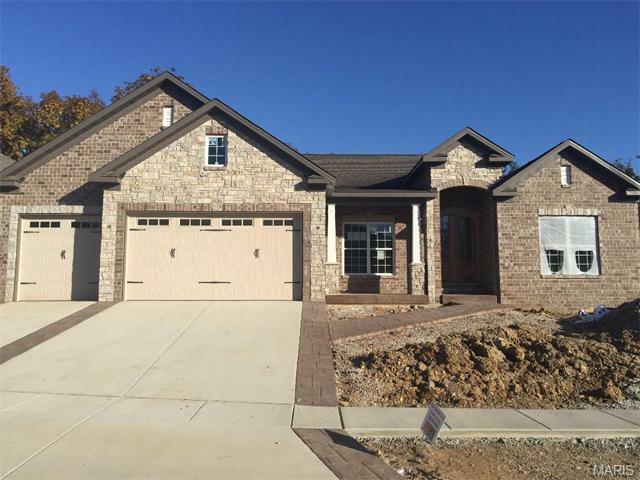 Ceramic tile floors, 4 can lights at exterior, full sod, stamped concrete walk way and border of driveway, 6′ brick returns & more! Pictures are of a similar floor plan and not of the one under construction at this time.